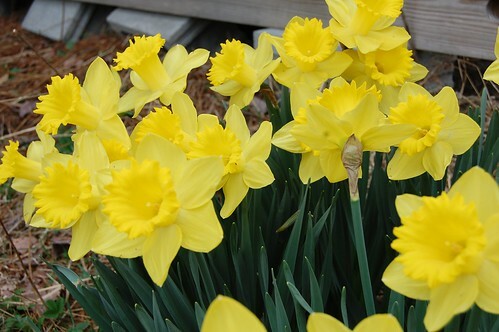 The daffodils are finally blooming at Rooster Hill Farm. They opened yesterday when the temp peaked at 65 degrees. 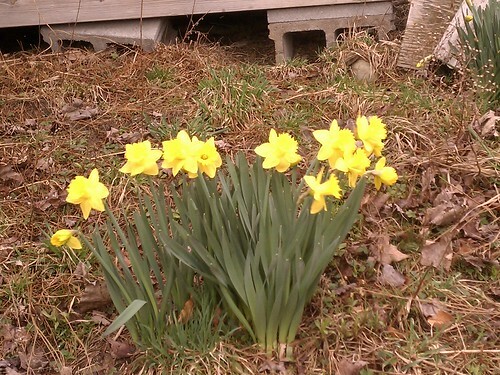 Here are the same daffodils last year on April 7. Posted in weather. Tagged with daffodils. Beautiful, I love these flowers. They are the first sign of spring here in WV.